It’s impossible to not fall in love with Juli Bauer. If you meet her—and you should do so while she’s on her current book tour—you’ll be struck by Juli’s authenticity. I’ve been a super fan of her blog PaleOMG for many years, and after I met her IRL, it cemented my girl crush. Juli’s just like her online persona: irreverent, sassy, fashion-forward, and food obsessed. She’s your ideal best friend—if your BFF also happens to be a deliriously funny, super stylish New York Times-bestselling cookbook author who can whip up a delicious Paleo-friendly meal on the spot—right after cheerfully coaching you through a brutal CrossFit WOD. It’s no secret that I’m giddy with excitement that her new book, Juli Bauer’s Paleo Cookbook, was just released. Maybe you were clued in when I gushed about Juli, her winning personality, and her fantastic recipes in the cookbook’s foreword. But in all seriousness, I love having her cookbook in my kitchen because it perfectly encapsulates Juli and her strengths as a wildly successful blogger, home cook, and food personality: the food photos are drop-dead drool-worthy, the recipes are simple and flawless, and her wit and humor are woven throughout. 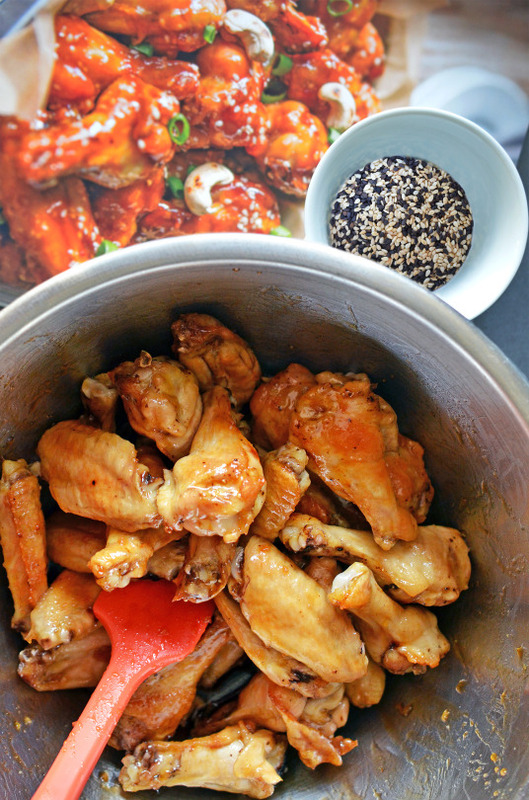 One of my favorite recipes from her new cookbook happens to grace the cover: Sticky Sesame Teriyaki Chicken Wings. 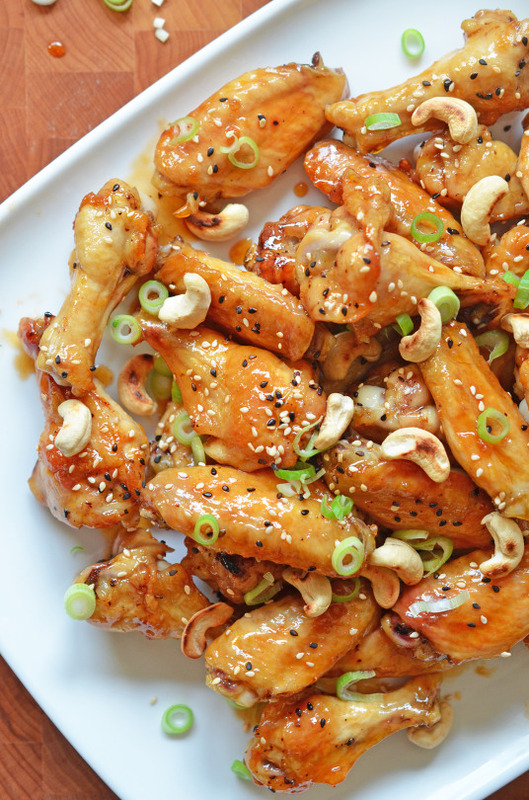 In fact, my whole family is obsessed with these savory, sweet, and spicy party wings—even the ever-picky Lil-O. 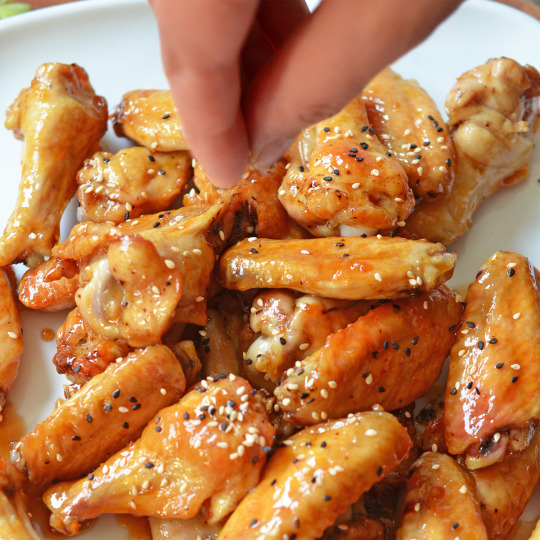 Right after we devoured the party wings, I texted Juli and asked if I could share her recipe with you. 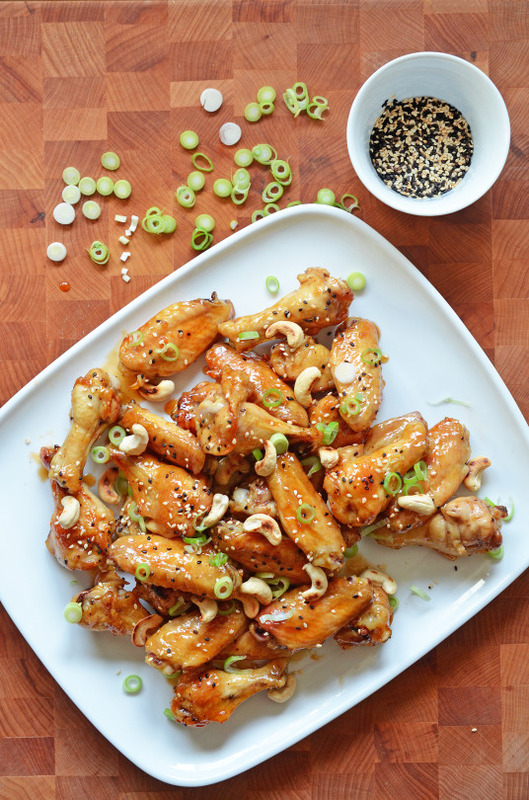 Of course, she said yes (otherwise, you wouldn’t be reading this post)—so now you, too, can impress your pals with a platter of sticky, lip-smacking wings. 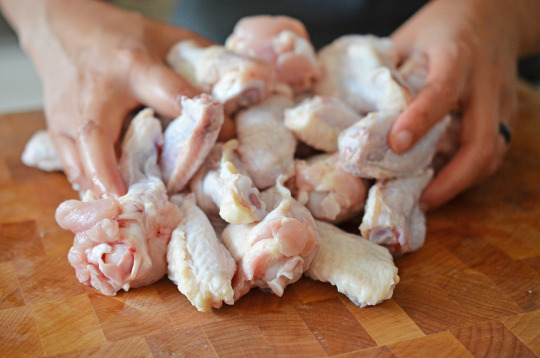 Bonus: I’ll even show you how to properly cut up whole chicken wings at home, so you can cook the wings and drumettes and save the tips for bone broth! 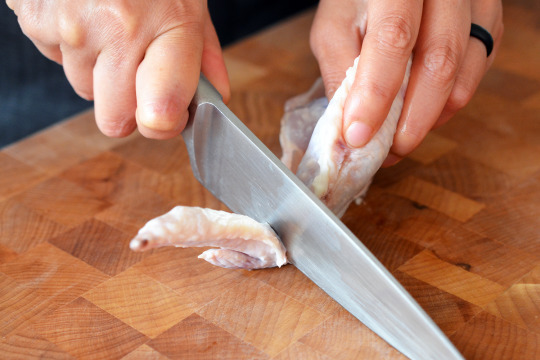 Using a sharp chef’s knife, slice through the joint between the tip and the wing. If you make sure you’re cutting through the joint and not the bone, the knife will slide through pretty easily. Place the tips in sealed bag or container in the freezer for bone broth. Next, use the tip of your knife to cut between the wing and the drumette until the joint is exposed. Again, cut through the joint (not the bone) to split these two sections apart. If you hit the bone, re-position your knife. Yup—it’s that simple. You can also trim the excess skin on the sides. …and sprinkle with salt and pepper. 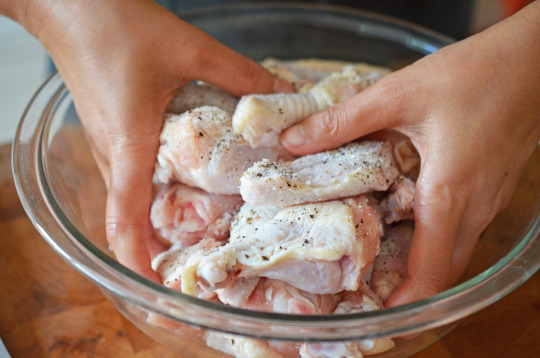 Toss the wings with your hands to ensure even seasoning. 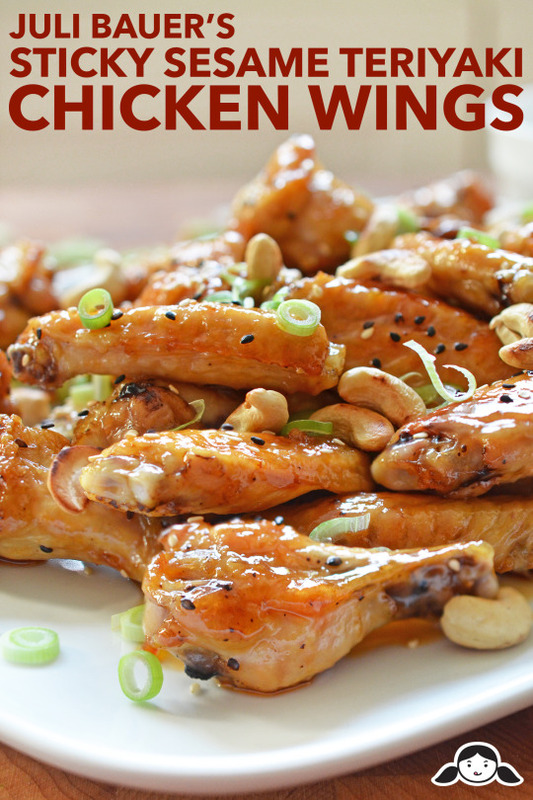 Place the seasoned wings and drumettes in a single layer on the wire rack, and bake for 50 minutes or until crispy. My oven has some hot spots, so I like to rotate the tray at the halfway point (~20 minutes). …to the pot and cook until fragrant, about a minute. 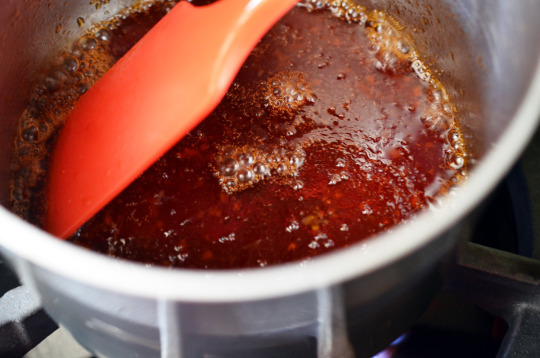 Measure out the rest of the sauce ingredients (coconut aminos, honey, chili sauce/sriracha, sesame oil, and fish sauce) and pour them into the pot. Decrease the heat to medium-low and bring to a simmer. Let the sauce reduce, whisking every so often to prevent burning. 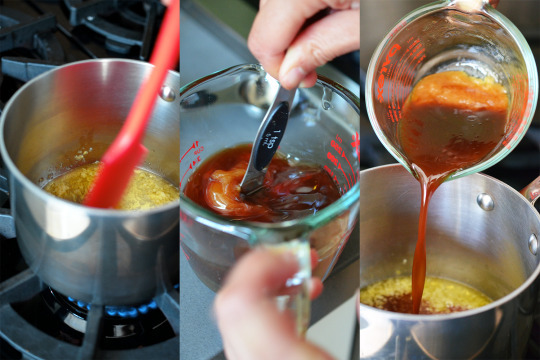 When the sauce has reduced by about one third and coats the back of a spoon, pour the sauce into a large mixing bowl. 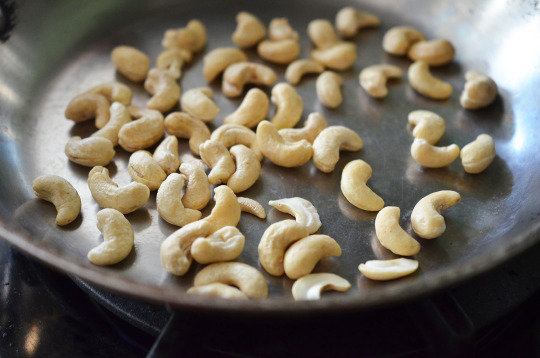 While the sauce is bubbling away, toast the cashews in a frying pan over medium heat. Toss them in the hot pan for about 10 minutes, or until golden brown. 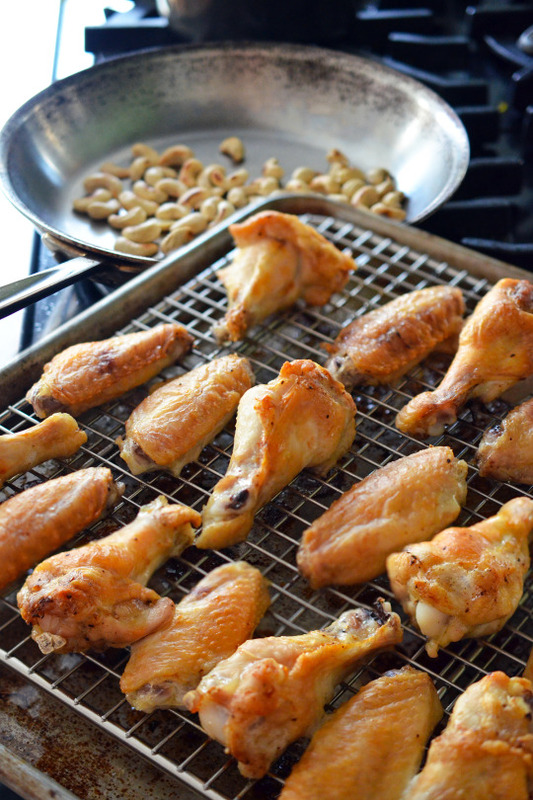 …and take them out of the oven when they’re crispy. 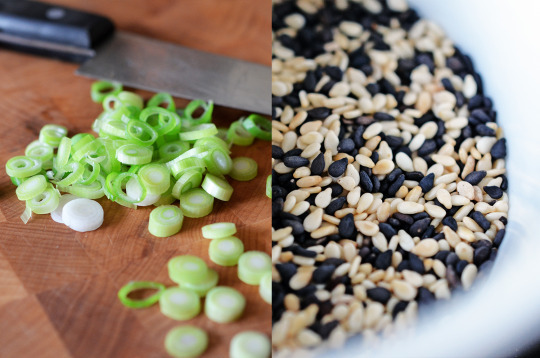 Prepare your garnishes (sliced scallions & toasted sesame seeds). 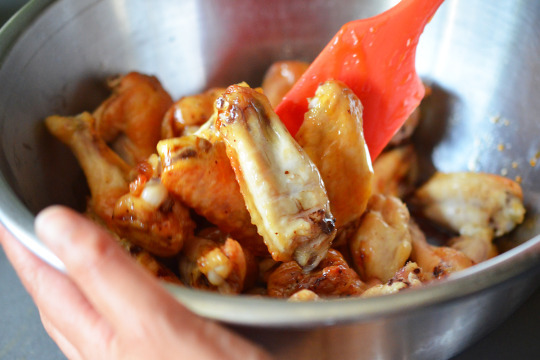 Toss the wings in the large bowl with the sticky sauce and mix well. Want more recipes like this one? Then go grab a copy of Juli Bauer’s Paleo Cookbook! Every time you spy it on your kitchen counter, you’ll be reminded to goof off, cook great food, dress better, and practice your pull-ups. Juli Bauer's recipe for sticky sesame teriyaki chicken wings are perfect for your Paleo parties! They're simple and delicious to make! Preheat your oven to 400°F with the oven rack in the top position. Line a baking sheet with foil and place a wire rack on top. Grab your wings! 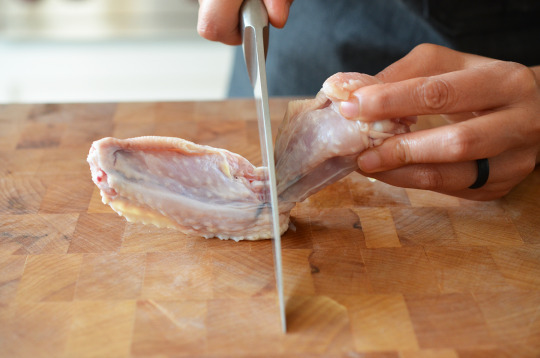 If have whole wings, break them down following these instructions: Using a sharp chef’s knife, slice through the joint between the tip and the wing. If you make sure you’re cutting through the joint and not the bone, the knife will slide through pretty easily. Place the tips in sealed bag or container in the freezer for bone broth. 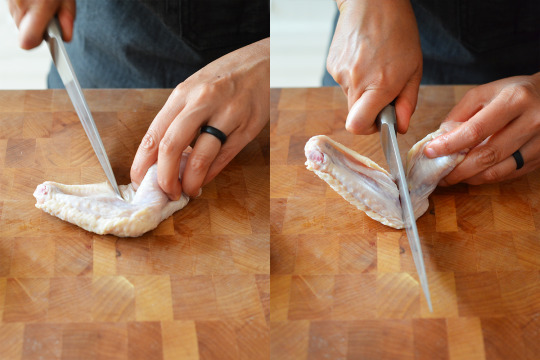 Next, use the tip of your knife to cut between the wing and the drumette until the joint is exposed. Again, cut through the joint (not the bone) to split these two sections apart. If you hit the bone, re-position your knife. Repeat until done. 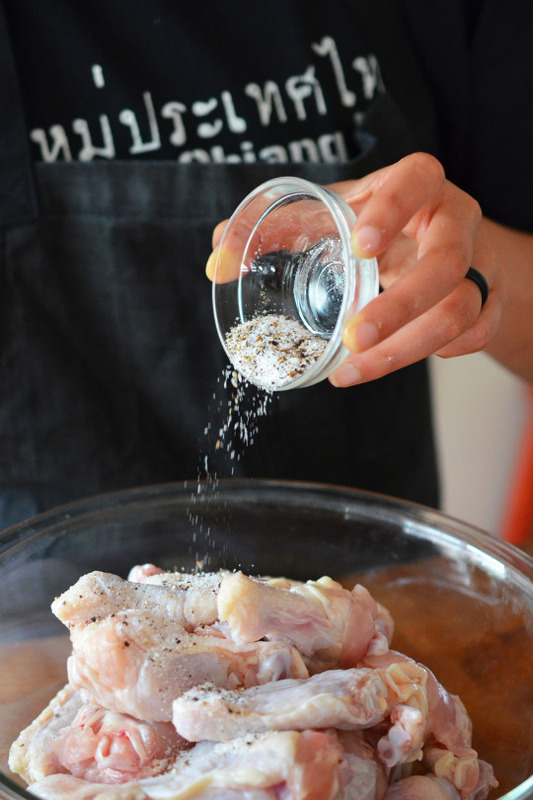 Place the wings and drumettes in a large bowl, and sprinkle with salt and pepper. 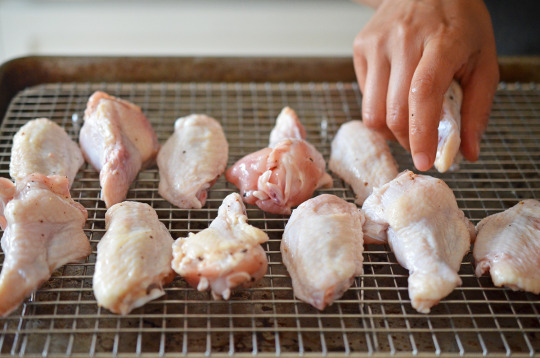 Toss the wings with your hands to ensure even seasoning. 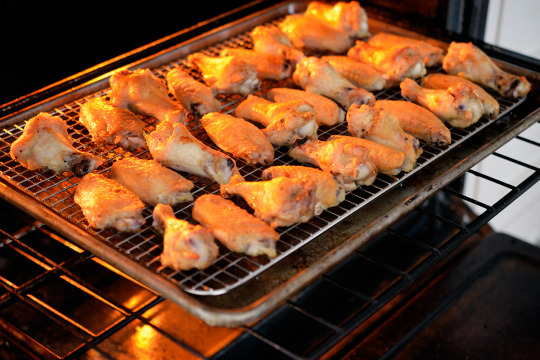 Place the seasoned wings and drumettes in a single layer on the wire rack, and bake for 50 minutes or until crispy. My oven has some hot spots, so I like to rotate the tray at the halfway point (~20 minutes). 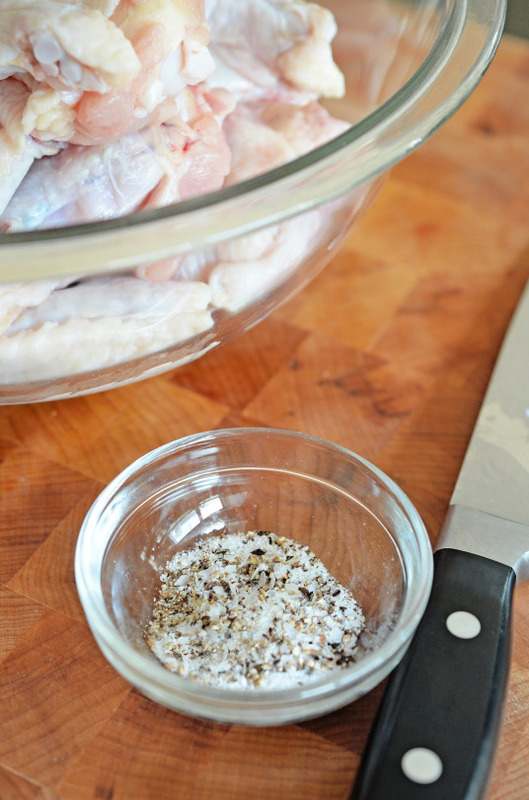 While the chicken is cooking, make the sauce. Heat the coconut oil in a large sauce pan over medium heat. 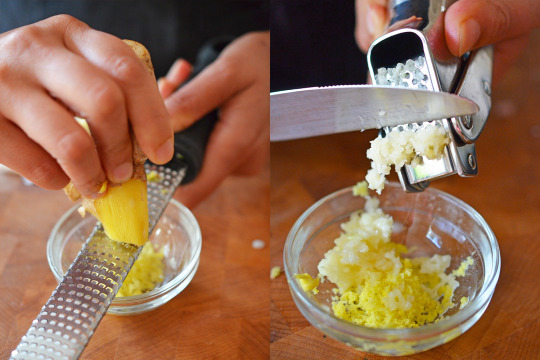 Add the minced ginger (use a Microplane rasp grater) and garlic (a garlic press is optional, but awesome) to the pot and cook until fragrant, about a minute. Measure out the rest of the sauce ingredients (coconut aminos, honey, chili sauce/sriracha, sesame oil, and fish sauce) and pour them into the pot. Decrease the heat to medium-low and bring to a simmer. Let the sauce reduce, whisking every so often to prevent burning. 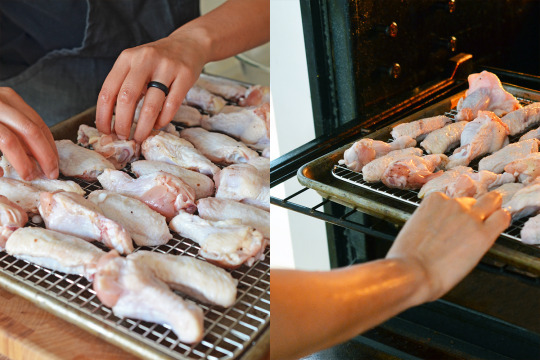 Check on your chicken, and take them out of the oven when they’re crispy. 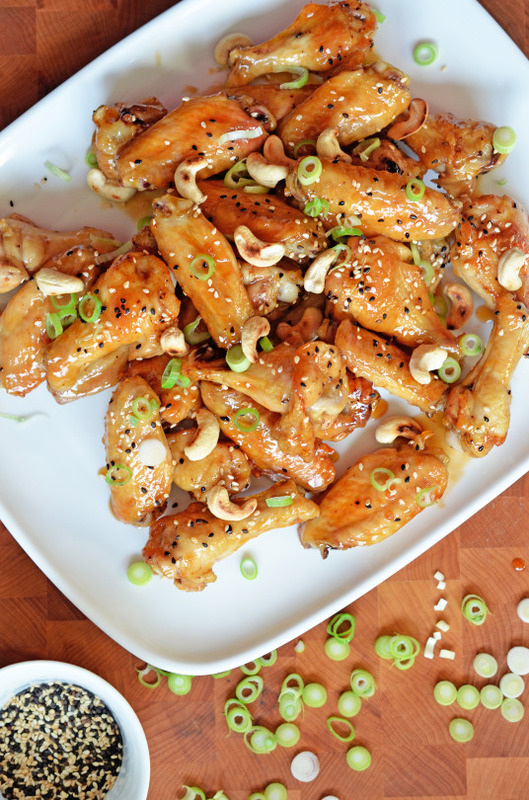 Place the wings on a serving platter and sprinkle on the sesame seeds, scallions, and cashews. Dig in! Previous Post: « Epic Roundup of Paleo Packed School Lunches!